The root cause of Alzheimer’s disease has baffled researchers for decades. But soon doctors may be able to detect certain disease markers with a simple blood test—a huge progression in understanding Alzheimer’s. The method was studied during new research conducted by the Washington University School of Medicine and German Center for Neurodegenerative Diseases. The study was published on Jan. 21 in the journal Nature Medicine (1). For the study, researchers used a group of families with rare genetic variants that cause early-onset Alzheimer’s. According to the Mayo Clinic, people who have this genetic variant often develop telltale symptoms in their 40s and 50s (2). Some may even show signs in their 30s. In addition, roughly 5 percent of all Alzheimer’s patients have this early-onset form. About 1 percent develop genetic “familial” Alzheimer’s, making it a rare situation, says the Mayo Clinic. However, because doctors can predict this type of Alzheimer’s, study researchers could monitor certain patients’ brain changes, states a Washington University press release (3). According to the statement, experts can see markers of brain damage by finding high levels of protein in a patient’s cerebrospinal fluid. To test the fluid, however, a patient must agree to a painful spinal tap. Senior author Dr. Mathias Jucker and colleagues wanted to know whether a person’s blood could detect the same brain damage as cerebrospinal fluid. Jucker is a professor of cellular neurology at the German Center for Neurodegenerative Diseases. Researchers studied over 400 people to find a conclusion. Of those, 247 had the genetic variant, and the other participants were relatives without the variant. All families belonged to the Dominantly Inherited Alzheimer’s Network (DIAN), an Alzheimer’s study group conducted by Washington University. What did researchers find? Upon comparing protein levels, experts found that proteins rose and remained high in those with the gene variant, states the WU press release. By contrast, those with normal genes showed steady protein levels. In addition, researchers noticed on brain scans that the rising protein levels coincided with an atrophy of memory-related regions of the brain. Next, researchers confirmed whether these levels could be accurately detected by blood test. They tested this on 39 patients with genetic variations. Researchers found that those with previously rising blood protein levels did show signs of negative brain changes and memory decline. Health professionals should be encouraged about what this finding could mean. People may be willing to undergo blood testing to understand their own Alzheimer’s risk. 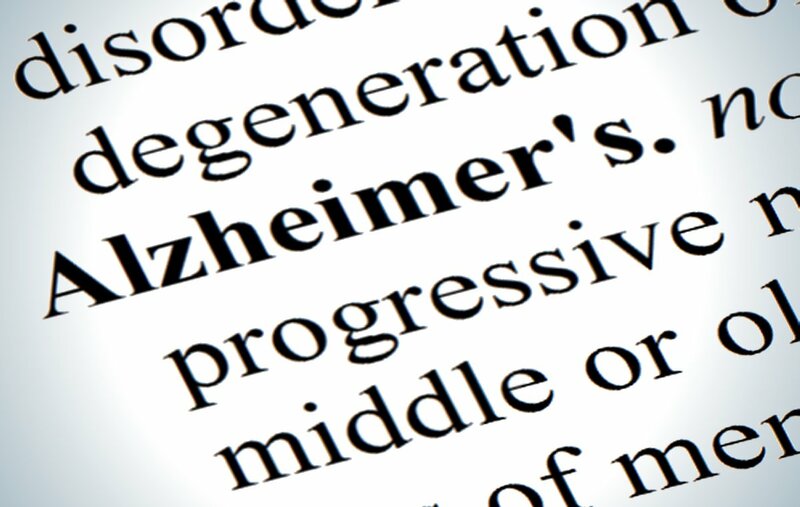 However, the protein levels could indicate more than just Alzheimer’s disease. Study author Dr. Brian Gordon, an assistant professor of radiology at Washington University, stated that the protein “marker isn’t specific for Alzheimer’s.” Instead, high protein levels could indicate other forms of brain damage or disease, Gordon said in the press release. All in all, this study could be the start of real progress for Alzheimer’s research as well as for other neurological problems. Alzheimer’s Disease: Why every American should get involved. Preische, O., Schultz, S. A., Apel, A., Kuhle, J., Kaeser, S. A., Barro, C.,…Jucker, M. (2019, January 21). Serum neurofilament dynamics predicts neurodegeneration and clinical progression in presymptomatic Alzheimer’s disease. Nature Medicine. Retrieved from https://www.nature.com/articles/s41591-018-0304-3#Abs1. Graff-Radford, J. (2017, March 29). Early-onset Alzheimer’s: When symptoms begin before age 65. Mayo Clinic. Retrieved from https://www.mayoclinic.org/diseases-conditions/alzheimers-disease/in-depth/alzheimers/art-20048356. Bhandari, T. (2019, January 21). Blood test detects Alzheimer’s damage before symptoms. Washington University School of Medicine in St. Louis. Retrieved from https://medicine.wustl.edu/news/blood-test-detects-alzheimers-damage-before-symptoms/.